This reveals just how debilitating migraines can be. The pain at times can be unbearable. Something called a prodrome might occur before a migraine hits – involving such things as visual disturbances, nausea, mood swings, neck pain, and loss of appetite. Traditional care – such as prescription medication – may help migraines on a temporary basis. However, to find lasting relief, the underlying cause must be found and addressed. 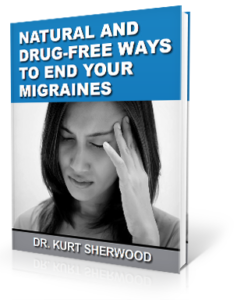 Migraines have consistently been linked to a misalignment of the bones of the upper neck. The top bone of the spine is called the atlas, and it can easily misalign due to a trip and fall, car accident, or stressful situation. This leads to muscles around the spinal cord becoming tense. The spinal cord plays a vital role in making sure the proper signals get to and from the brain and body. If it is under stress, improper signals may lead to a variety of problems in the body – like migraines. A female who was 35-years-old was observed during a recent study. She reported having daily tension headaches and migraines. She also revealed that she had fallen 12 years earlier. She received a correction to her atlas bone and immediately noticed a difference. After just 3 months, she saw her headaches go away completely. Here in our Renton, Washington office, we use a method referred to as NUCCA. It is gentle and effective in helping to realign the atlas bone. This does not require us to pop or crack the vertebrae, and we see similar results to those mentioned above.